The natural landscapes are the principle axis and the inspiration of all the artistic themes. 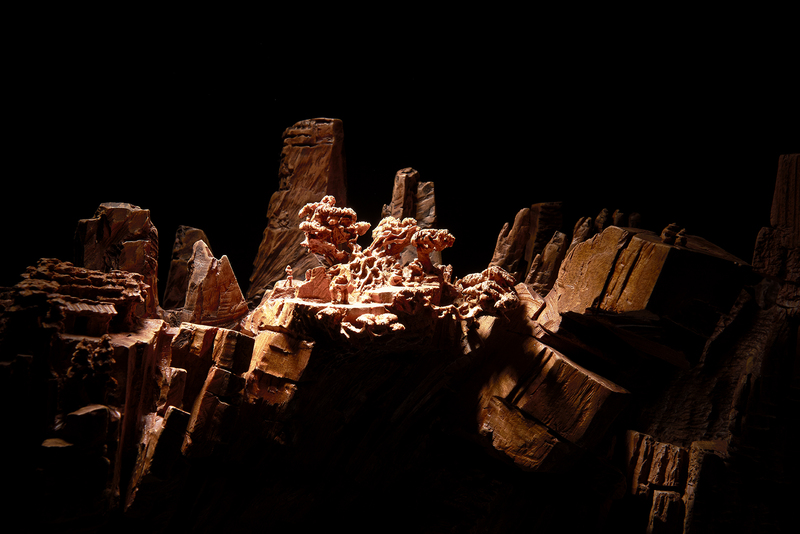 To bring out the magnificent sight of the spectacular canyon, the master creates the original stereoscopic art works with an unique sculpture cutting to enable all the audience to vividly experience a great journey of the powerful and dynamic canyon. 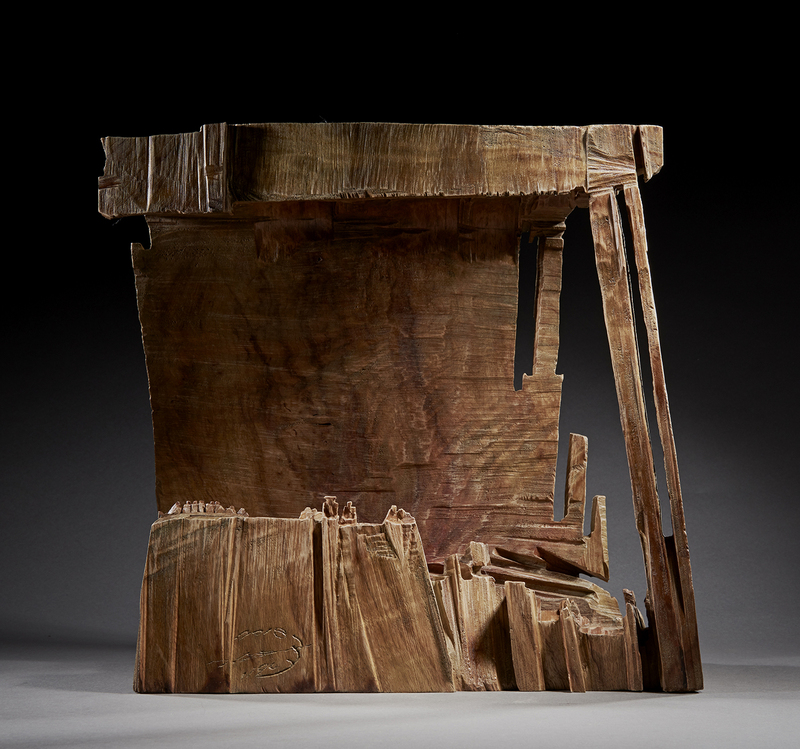 In past few years, Chang followed lives of nature to create instead of figurative expression. With the hard working, he finally marched toward the international stage earned the admiration and respects. 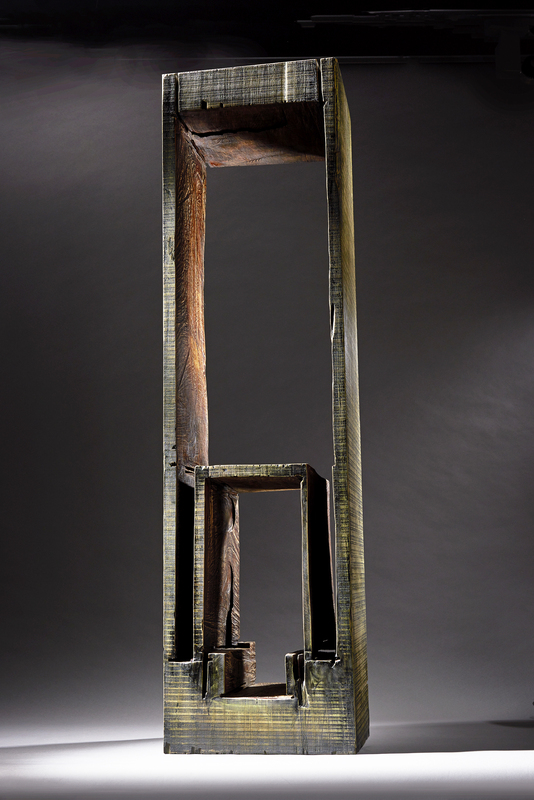 We have you the most representative works also the most priceless treasure within this exhibition. 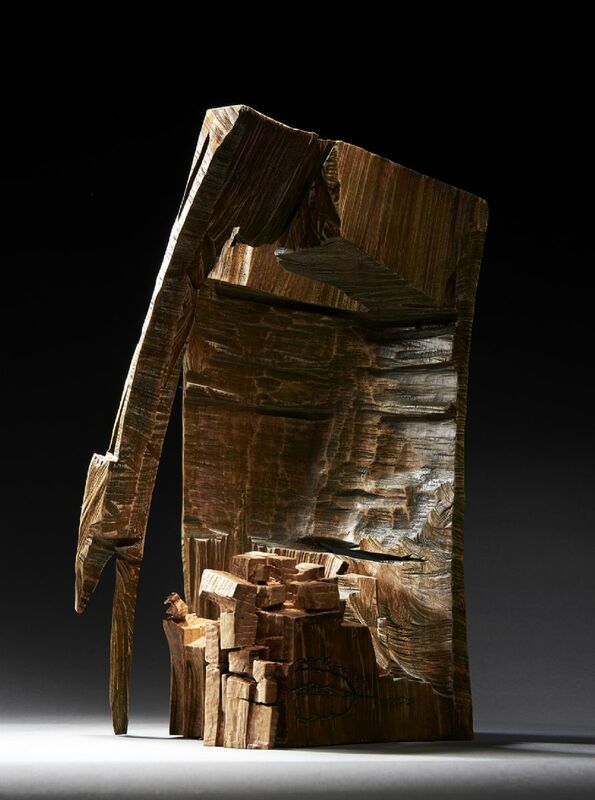 The master Chang has already dedicated in carving over 30 years and enjoyed equal popularity with his senior fellow apprentice also the best known carving artist, Ju Ming. He all used first-class ancient wood (Daogezai Wood) such as Taiwan camphor wood, Incense Cedar, and Hinoki to undertake his creation. Otherwise, the inspiration of creation all addicted to his strong faith. Though he’s now at advanced age, not a bit less on breaking through we can see from him. However, he handled a butcher’s cleaver skillfully on his works. In the days coming, Master Chang expects himself keep working on another masterpiece. “Art is not just about culture but also education and cultivation, and therefore, it should go beyond the quest for mere commercial gains.” To uphold this creed, Art Revolution Taipei (A.R.T. ), an international art fair organized by Taiwan International Contemporary Artist Association, made its debut in 2011. Different from the conventional art shows organized around commercial galleries, A.R.T. places the artist front and center, with every booth standing as the artist’s solo exhibition. This pioneering curatorial vision has led A.R.T. to become Asia’s ionic art fair. After the exhibitions in Hong Kong, Singapore, Shanghai and so on, this year, we sincerely welcome you to 2018 Art Revolution Taipei to experience the great journey of Chang Ching’s miraculous sculpture world. Our booth number is E7 . “Blessed are the pure in heart, for they shall see God.” (Matthew 5:8). The promise “for the pure in heart” is to bring the believer into the state of peace and happiness without anxiety. When we have the appreciation for everything from time to time, we can enjoy the freedom, peace and happiness deep in our heart. Artist uses extremely simple and clean carving technique to create this art piece with a two-layered structure. On the bottom layer, there are busy people with never satisfied pursuits for material needs and desires, and also with nonstop exciting and poverty in heart. On the top layer, it is represented that: Even though the society is shaky and unstable, as long as we keep the pure and peace in our heart and the appreciation from time to time, but not to over-pursue the desire of power and control, then we can feel the greatest stability and happiness. 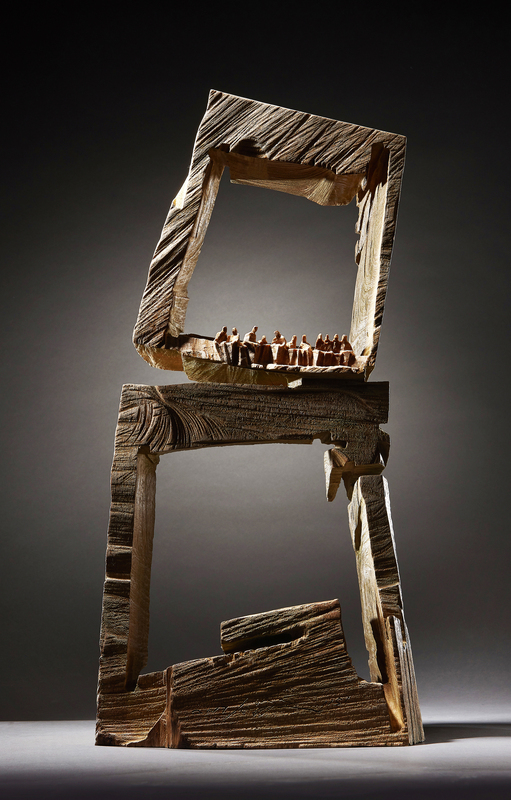 The artist creates “the pure in heart” on the top layer with men, women, elder and children sitting side by side, in which they are carved with living and interesting. This is a wonderful and representative artwork of Master Chang.